Fiscal year 2019 started on October 1 and may mark an unfortunate milestone: a permanent return to trillion-dollar deficits for the federal government. The non-partisan Congressional Budget Office (CBO) projects that the deficit this fiscal year (October 1, 2018 – September 30, 2019) will total $973 billion if current policies remain the same; the Trump Administration anticipates a deficit of $1.085 trillion under their budget proposal. 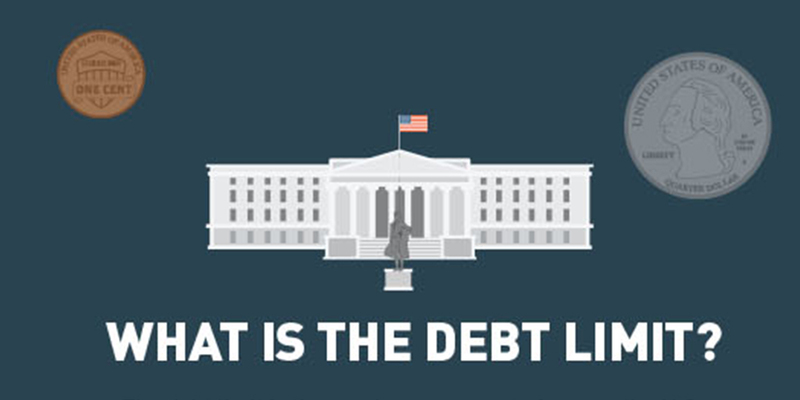 Other than during the recent recession caused by the financial crisis and its aftermath, the U.S. government has never witnessed deficits that exceeded $1 trillion. 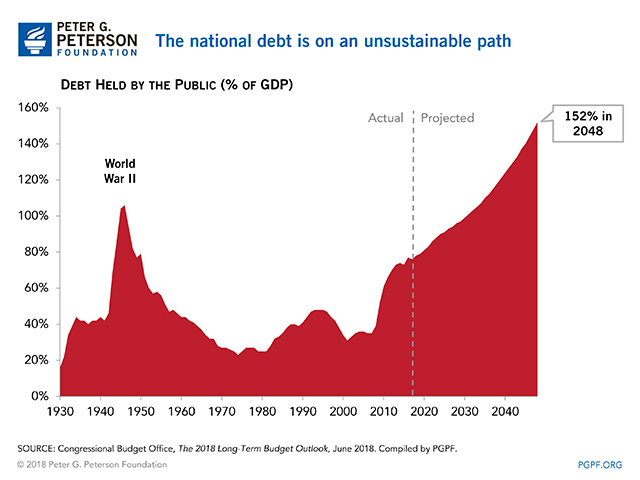 Moreover, due to recent tax and spending legislation as well as a foreseeable wave of demographic changes, deficits are projected to continue rising in the years ahead. 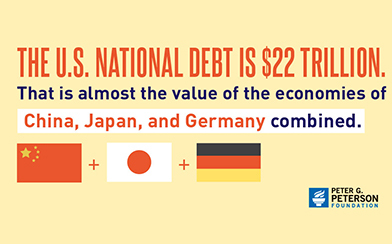 More troubling than crossing the trillion-dollar milestone is the fact that debt is increasing relative to the size of the economy. Debt in 2019 is expected to creep closer to 80 percent of GDP — about twice the level that existed before the financial crisis. Under CBO’s long-term budget projections, debt would nearly double again in 30 years, rising to 152 percent of GDP by 2048. Those are clearly unsustainable and dangerous levels. October 26 — Release of the estimate for gross domestic product for July-September 2018. November 6 — Election Day. See our Campaign Fiscal Toolkit with resources for voters and candidates. November 30 — The deadline for the Joint Select Committee on Budget and Appropriations Process Reform to release a set of recommendations. See our principles for reform here. 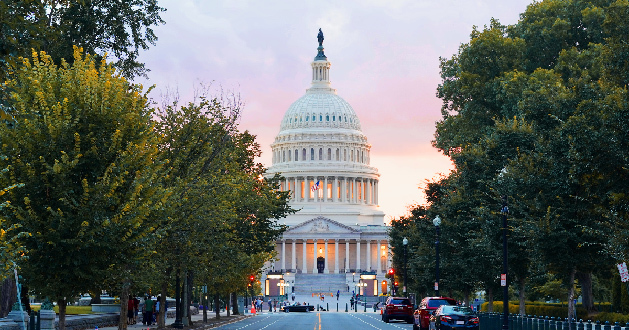 December 7 — Recent legislation preventing a government shutdown included full-year funding for five of twelve appropriations bills, which include the departments of Defense, Labor, Education, and Health and Human Services. The remaining seven bills fall under a short-term continuing resolution that expires on 12/7. If lawmakers can’t come to agreement on the remaining seven appropriations bills by then, they will risk a partial government shutdown. Want to keep abreast of fiscal developments? Sign up for our email newsletters. The OMB released its mid-session review, an annual update and revision of White House budget projections. This report marked the first time that the administration has acknowledged that deficits will surpass $1 trillion in the near term — a level that should be a wake-up call to all Americans.